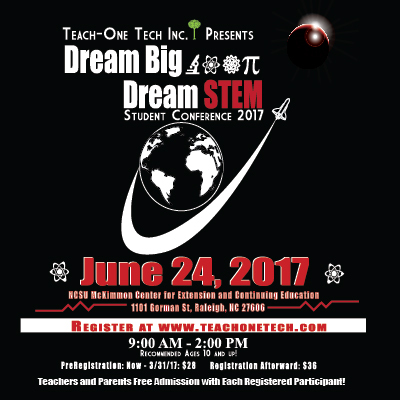 The Dream Big... Dream STEM Conference is for students ten to eighteen years of age, who have an interest in STEM related fields of study and would like to understand how STEM is used in today's workplace. This conference is strategically designed to help all participants understand the role of STEM in our communities and how they can be impactful at any age. Presenting organizations include Fifth Season Gardening (hydroponics), NC STATE Department of Nuclear Engineering, Red Hat, Kramden Institute, the Morehead Planetarium, and Asymmetry/ One Vibe focusing on robotics systems and programming. Each organization has an engaging learning experience planned for your student. Students will have a choice to attend two sessions, have lunch and we will end with a group session. 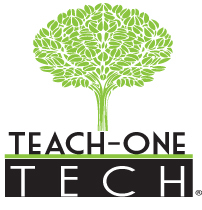 We will have a dynamic keynote speaker who will challenge the students to pursue careers in STEM as well. ! One Parent is free to attend with each paying student! Attending parents can purchase a lunch ticket to enjoy lunch with us. Dream Big... Dream STEM.